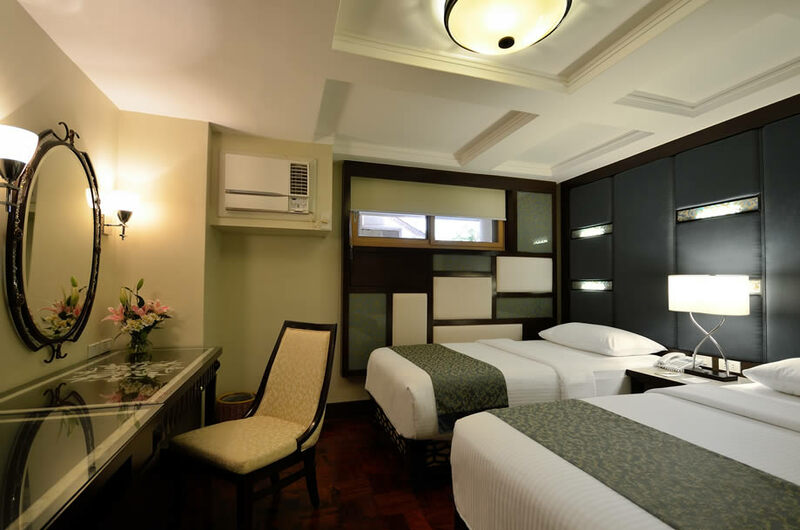 Experience Henann Regency on a budget with our Superior Room. Simple and uncluttered, each room is finished in soothing earth tones and unique Asian decor. Select rooms have a connecting door, which allows you to expand into an extra room if desired. 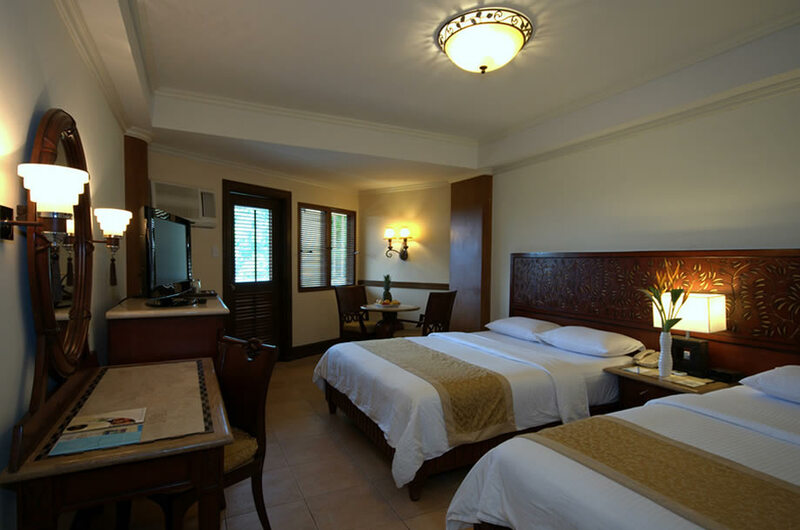 With 2 single beds or one king bed, this room is furnished with the most basic necessities to assure you of a comfortable stay in Boracay. For those wanting to experience world-class luxury service without having to pay a king’s ransom, the Deluxe Room at Henann Regency awaits. 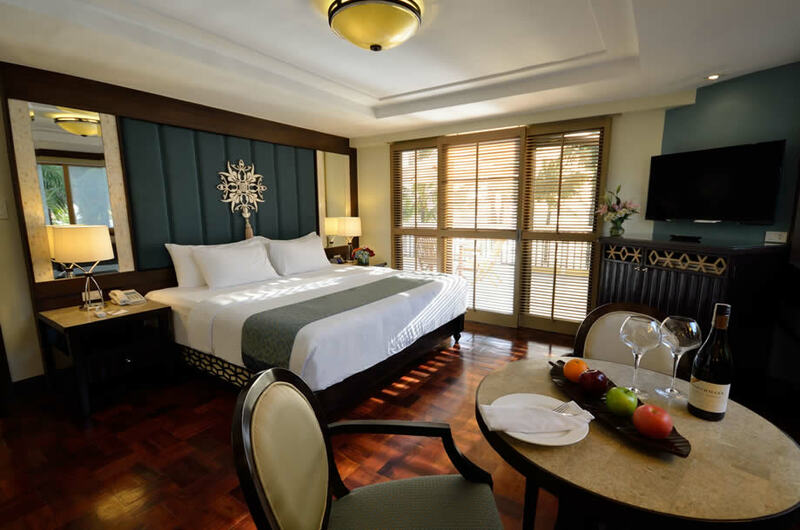 Offering total relaxation, our Deluxe Rooms feature contemporary sitting and sleeping areas. Boasting Asian touches and natural accents, they reflect the local surroundings and maintain a tropical edge. With one queen bed and one single bed or one king bed, this room is perfect for those who share a room without compromising ease and comfort. Select rooms at Main and North Wings have a connecting door, which allows you to expand into an extra room if desired. 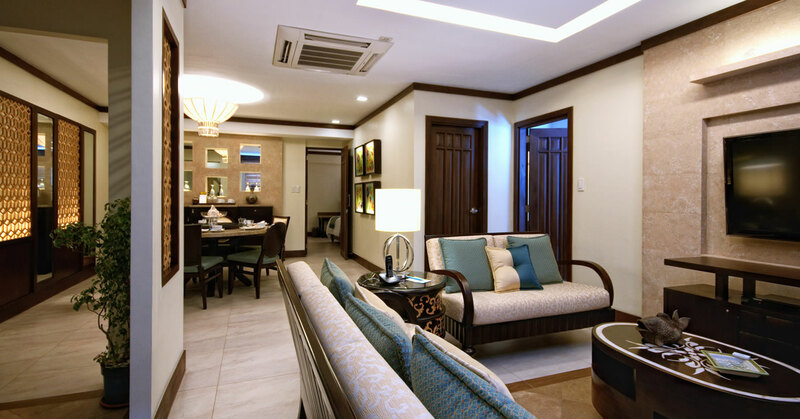 Experience a fun and easy holiday with your loved ones in one of Henann Regency Boracay’s Family Rooms. The lodging’s 2 bedrooms offer privacy, allowing renewal time alone or together. The main room features a queen bed and a single bed, the other featuring 2 single beds. 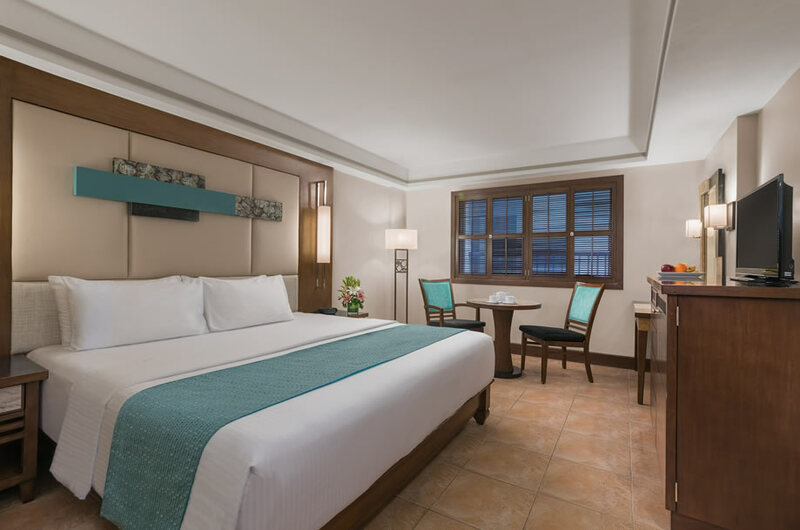 For comfort and accessibility, nothing beats the Premier Room at Henann Regency. Considered to be the largest of our non-suite rooms, these are designed to provide you with a sense of luxury at a reasonable price. These rooms have one single bed and one queen bed or a king bed to ensure maximum comfort at night. Select rooms at Main and North Wings have a connecting door, which allows you to expand into an extra room if desired. Spacious bathrooms are appointed with an inviting tub and separate shower. Experience this one-of-a-kind room with a veranda that goes directly to the swimming pool. 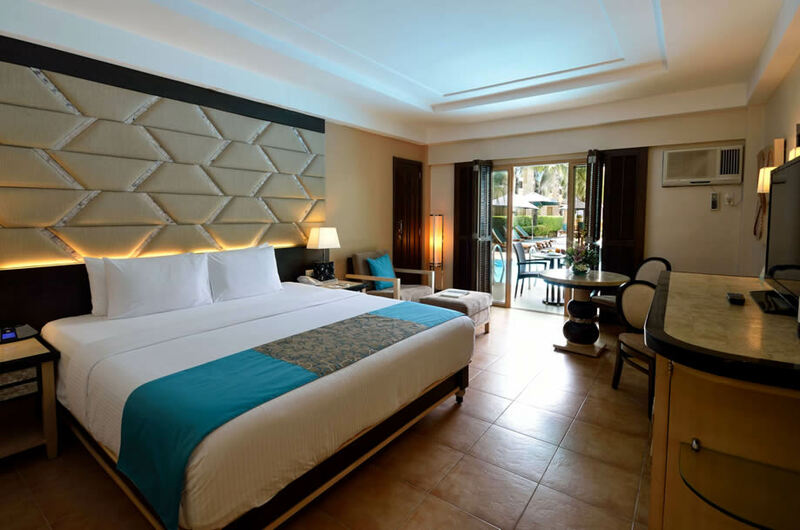 Considered to be the largest of our non-suite rooms, the Premier Rooms with direct pool access are conveniently designed to let you enjoy the swimming pool right after your veranda. 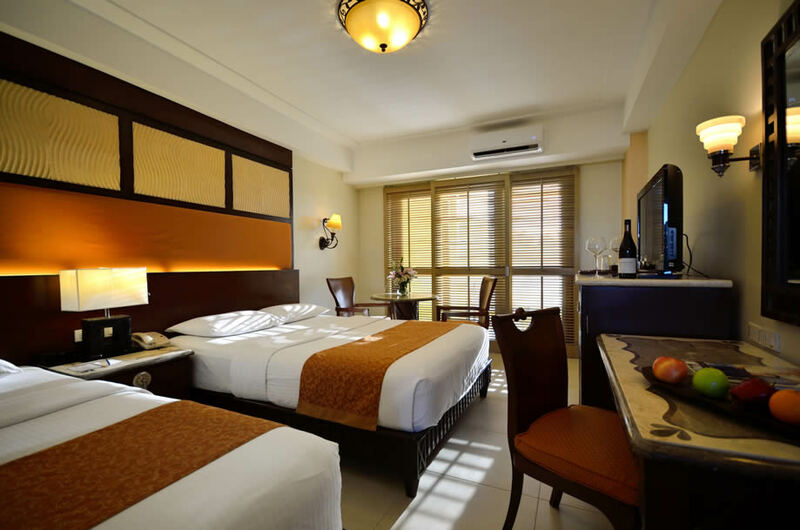 These rooms have one single bed and one queen bed or a king bed to ensure maximum comfort. Select rooms at North Wing have a connecting door, which allows you to expand into an extra room if desired. Spacious bathrooms are appointed with an inviting tub and separate shower. Located at the second and third floors, our Junior Suites feature stylishly redesigned interiors of rich and vibrant accents to contrast with the white bedding. 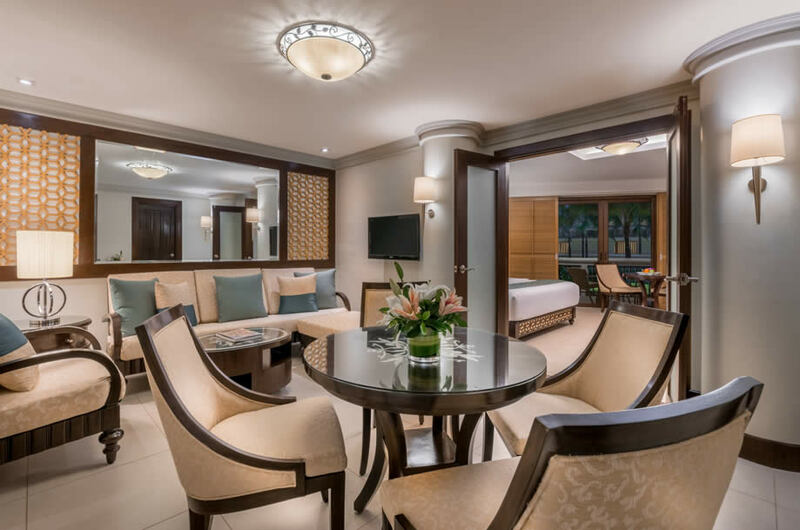 With a receiving area, to add that little touch of comfort, this suite is designed to create the perfect indulgence and style while enjoying your stay. A sleek granite bathroom includes a separate tub and shower. Each suite offers a sumptuously styled, colorful living area, featuring tropical decor and a plush sofa. 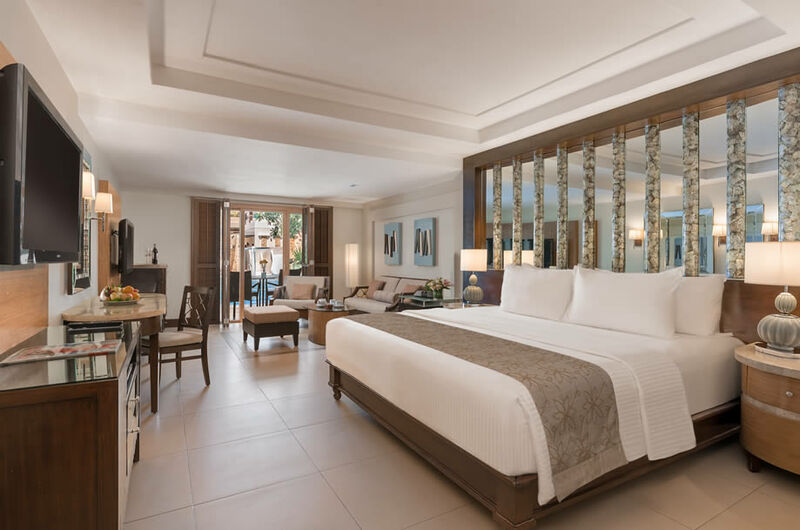 Experience all the luxury you could want from Henann Regency’s first-rate suite. Experience a luxurious suite with a veranda that opens directly to the swimming pool. 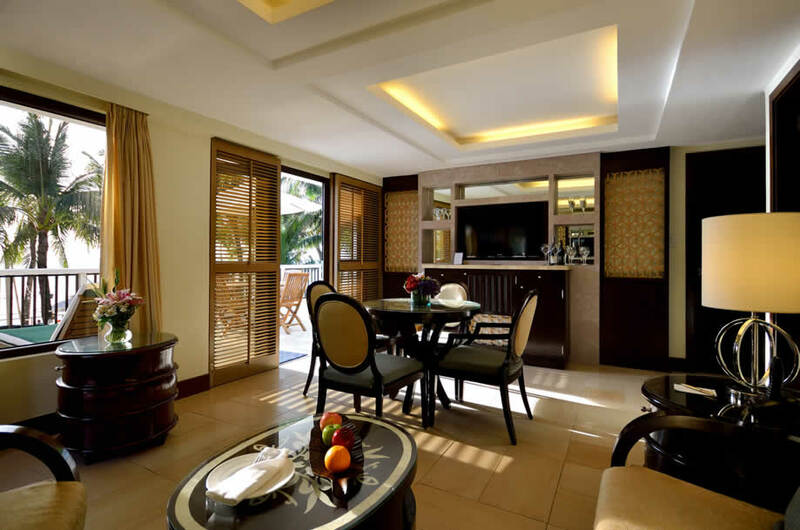 With a receiving area, to add that little touch of comfort, this suite is designed to create the perfect indulgence and style while enjoying your stay. A sleek granite bathroom includes a separate tub and shower. Each Suite offers a sumptuously styled, colorful living area, featuring tropical decor and a plush sofa. 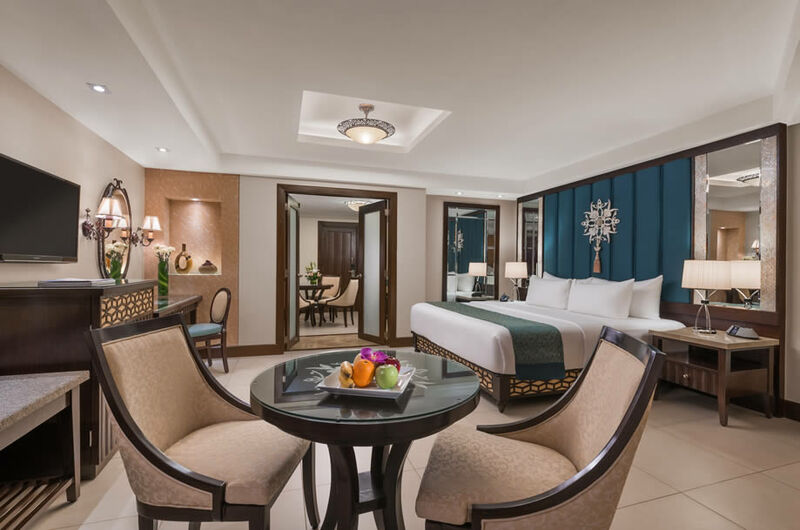 Experience all the luxury you could want from Henann Regency’s first-rate Suite. 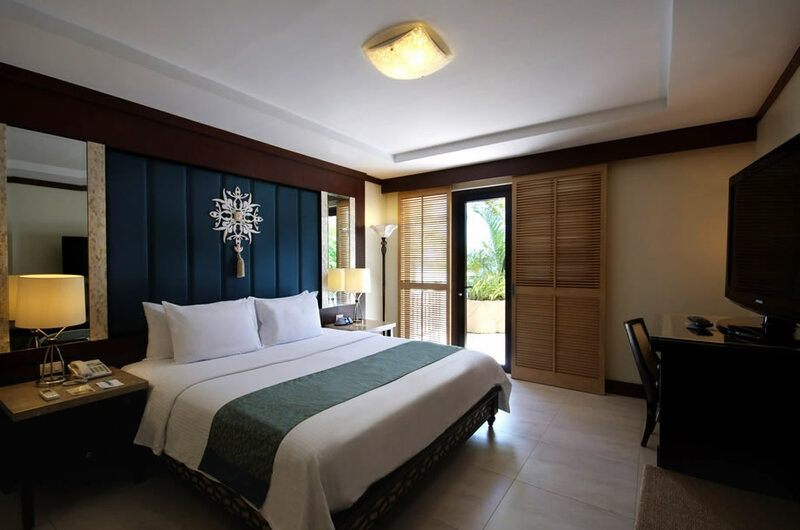 Celebrate your stay in Boracay in Amado Executive Suite located at the Main Wing. 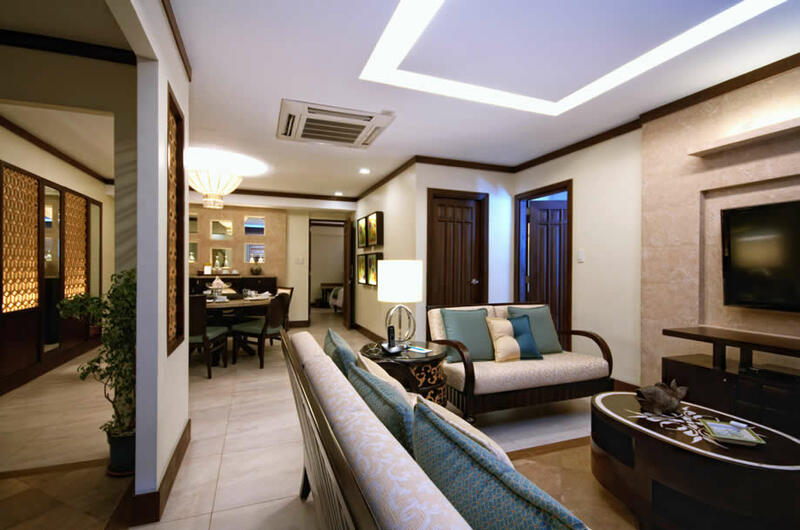 It is the first suite built in the resort. 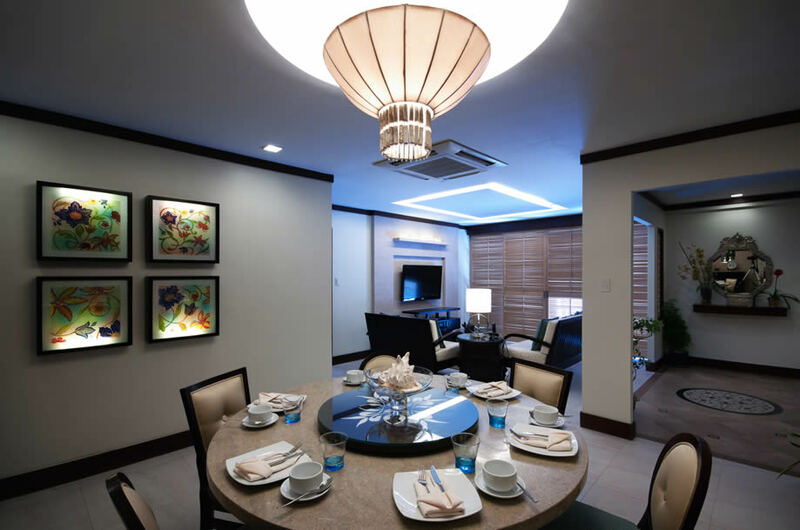 It has set the standard for luxury living at Henann Regency. Created with comfort and elegance in mind, the Amado Executive Suite invites you to come and relax in the sheer sophistication it provides. All newly wed couples need a special place for a romantic getaway. The Honeymoon Suite was made for that exact purpose. This newly renovated room includes a floor-to-ceiling mirror that adds that distinct touch of class to the suite, as well as an over-sized whirlpool tub for a touch of romance. With a sundeck that sprawls 55 sqm and comfy sun lounges for your basking pleasure, it is truly the place to be. 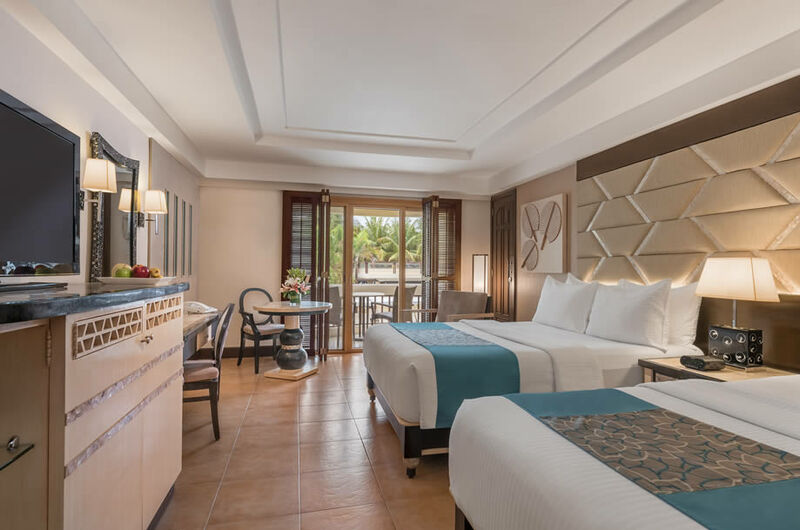 Retreat to the bedroom and discover a 40-inch LCD TV along with a king bed topped with 300-thread-count cotton sheets, plush comforter, and pillows. Anytime of day, the extra-large bathroom offers unrivaled relaxation, as a separate shower and toilet reside and a two-person tub. Our two-bedroom Royal Suite is made up of one master bedroom, a twin bedroom, spacious living room, 2 bathrooms, a large balcony and on top of it all, spectacular views of the Sulu Sea and the famous Boracay sunset. There’s plenty of room to pop that bottle of champagne upon arrival — a toast to resort living in style! In the master and twin bedrooms, slip into something more comfortable, with lavish 300-thread-count cotton sheet, pillow-top mattress, and plush comforter and pillows. Spacious and chic, the Royal Suite is truly fit for a king! 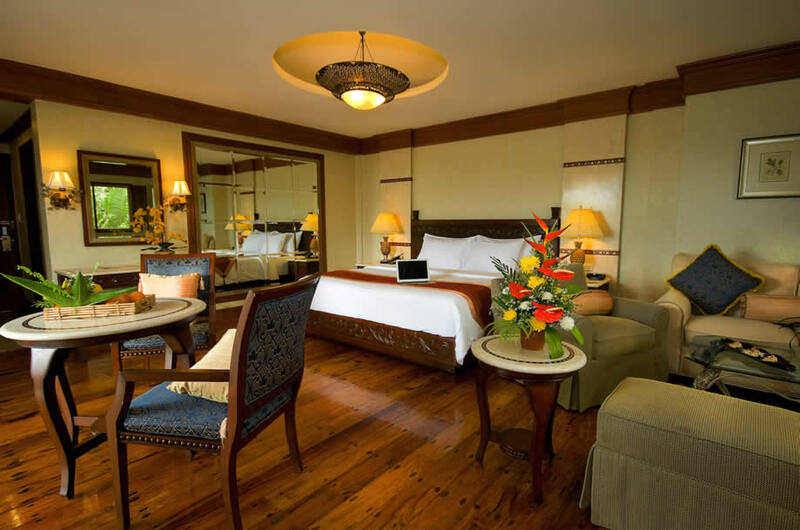 So special we only have one 2-bedroom Presidential Suite located at the center of the resort. Here, we’ve thought of everything so all you need to do is bring yourself, starting with an extensive balcony with full views of the Sulu Sea and the magnificent Boracay sunset. What a perfect spot for enjoying everything you’ve ever yearned about resort living. In this high-flying haven of whimsical comforts, the master bedroom, with lavish 300-thread-count cotton sheet, pillow-top mattress, and plush comforter and pillows await with ocean views. A second bedroom also features 2 single beds. There is also a second bathroom and powder room for your convenience.